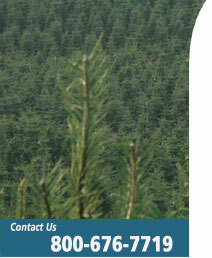 Getting trees where they need to go in a timely manner can be a difficult task for many companies. 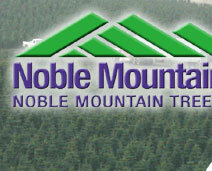 At Noble Mountain we have spent years perfecting our procedures to ensure that your trees are loaded quickly and get to their destination in a matter of days. 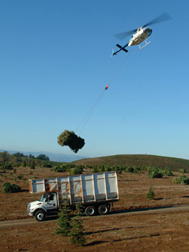 We have an extensive network of vendors who supply us with the transportation we need to deliver over 500,000 trees per year throughout the Western United States. We also have the ability to ship containers globally. In some instances we utilize rail services to also help expedite on time delivers. We typically deliver by the truck load but we will also deliver less than a truck load. 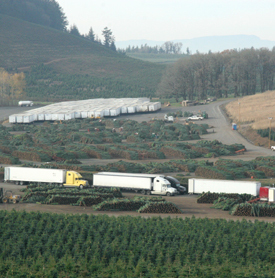 The minimum delivery for less than a truck load is 250 trees.